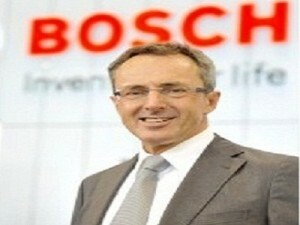 Bosch Packaging Technology posted sales value of 914 million euro, up 123 million euros or 16% over 2011. The company is targeting 1.5 billion euros in sales by 2015. The pharmaceuticals market, in which Bosch Packaging Technology posts just under half of its sales, is set to continue growing strongly in the coming years, reaching a market volume of 1.1 trillion euross by 2015, according to its announcement. Two years ago, the corresponding figure was just 850 billion euros. Sales of machinery to the food industry account for 50% of Bosch’s packaging technology sales, and demand is on the rise as more and more countries begin to realize that suitable packaging can lengthen the shelf-life of food. Bosch Packaging Technology already earns one-quarter of its revenues in Asia, and expects to achieve double-digit growth rates there over the next five years. The company, meanwhile, is looking forward to the development in African continent. “Africa is becoming a market that merits a lot of attention. With our assembly site in Midrand, South Africa, we are already among the biggest packaging machinery manufacturers on the continent.” stresses Friedbert Klefenz, President of the Packaging Technology division.